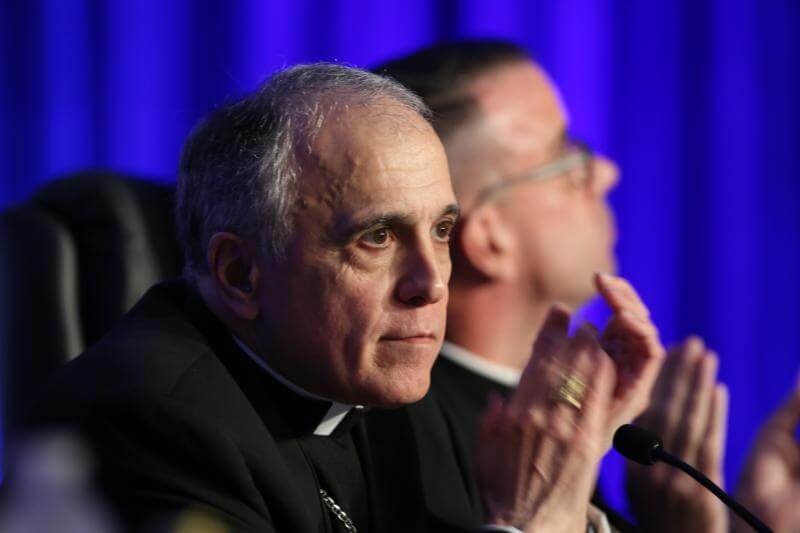 Photo Credit: CNS photo/Bob Roller - Cardinal Daniel N. DiNardo of Galveston-Houston, president of the U.S. Conference of Catholic Bishops, is seen June 13 at the opening of the bishops' annual spring assembly in Fort Lauderdale, Florida. Archbishop Theodore E. McCarrick “will rightly face” a Vatican canonical process regarding sexual abuse allegations against him, but the U.S. Catholic Church must take steps to respond to Church leaders’ “moral failures of judgment,” said the president of the U.S. Conference of Catholic Bishops. In the weeks that followed the announcement, another man came forward claiming he was abused as a child by Archbishop McCarrick, and several former seminarians have spoken out about being sexually harassed by the cardinal at a beach house he had. In other developments, two New Jersey Dioceses where he served in the 1980s and 1990s said settlements had been reached some years before in a couple of cases of abuse claims made against him.